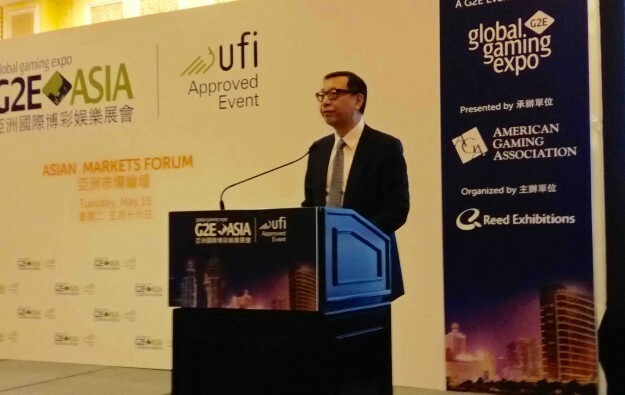 The idea of “borderless” travel between Hengqin and Macau should be encouraged in order to boost two-centre tourism, said Francis Lui Yiu Tung (pictured), deputy chairman of Macau casino operator Galaxy Entertainment Group Ltd. He also urged the Macau government to be prepared to revisit the issue of Macau’s 39 percent gaming tax, in the light of what he said was strong regional competition from lower-tax jurisdictions targeting the “highly mobile” Chinese customer. Mr Lui’s comments came during his keynote address at the start of the Global Gaming Expo (G2E) Asia 2017 at the Venetian Macao resort hotel on Tuesday. 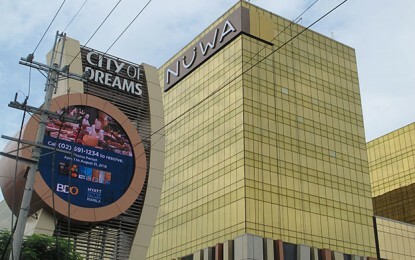 The executive also said the Macau operators were committed to a transparent and well regulated industry, which he said was in the interests of the operators as well as the government. “We encourage the idea that Hengqin implement a borderless entry between Macau and the island, so that all visitors to Macau can also access the amenities that Hengqin has to offer, and then freely return to Macau,” said Mr Lui. Hengqin – a 100-square kilometre (41.1 sq miles) island that is administratively part of mainland China – is next door to Macau and already offers a theme park, with more amenities planned. But visitors between the two places must currently pass immigration checkpoints to travel back and forth. Galaxy Entertainment plans to develop a non-gaming project on Hengqin. That was a reference latterly to the Florida city in the United States that is home to a number of family theme parks including Disney World and the Epcot Center. Mr Lui said the occasion of his keynote address was “not the right time” to discuss Macau’s gaming tax regime. Mr Lui also addressed the issue of the Chinese central government’s recent anti-corruption drive, that led to steep declines in VIP gambling gross gaming revenue (GGR) for several years. He said that in hindsight, Macau had been “much too dependent on VIP”. Mr Lui was asked by GGRAsia during a short question and answer session at the end of his speech about the issue of telephone use at gaming tables in Macau VIP rooms. The local regulator, the Gaming Inspection and Coordination Bureau, banned use of telephones at the table in an order issued in May last year. In a further follow up with GGRAsia, it was said that Mr Lui was referring to proxy betting occurring in other jurisdictions that happen to have lower taxation than Macau.